Cosmos Fabric - Universe Galaxies And Stars Section. Fabric of the Cosmos: Book Review. 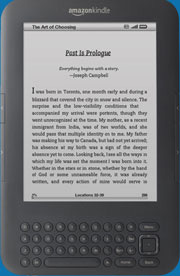 the Cosmos: Read more reviews on Amazon.com. 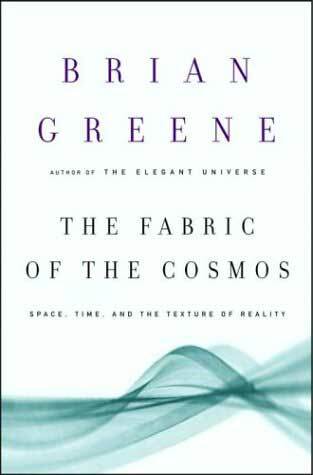 Fabric of the Cosmos is a new book by Brian Greene. So you're at this cocktail party and your eye is totally captured by this vivacious and charming individual circling the room. You get your chance and approach. You start talking and when asked what you do, before your brain kicks in, your mouth says, "theoretical physicist". You're doomed. You're a charlatan and you will be exposed in no time. But wait, there is hope. Before your next party, read Brian Greene's book on The Fabric of the Cosmos and though you won't be able to impress graduate students, you will certainly add life to a party's conversation. And to add life you need to know what it is all about. Consider that most people believe humans are not at the centre of everything. So if we're not at the centre, then where exactly are we? Well, centre is pretty much a matter of perspective, and when considering the cosmos, there is a lot of perspective. Newton had things nicely arranged by putting equations and relationships onto macroscopic objects. He had forces and masses and orbits, but he was a little wishy washy on what held it all together. Were the visible constituents all that there was, or was there more? The answer, we know, is, of course, there is more. There are atoms, photons and quarks. Even more tantalizing are fields. Magnetic or electric fields extend from a source to a destination without needing intermediary material. This then is the ticket. This defines the constituents of our surroundings, our existence, our life. But is this as deep as things get, or can we get deeper? As we delve into smaller and smaller realms, some of our traditional observations and laws get broken. Communication is not supposed to go faster than the speed of light. Yet there is nonlocality, the instantaneous transfer of information, that has been observed when identifying the spin of electrons. And speaking of electrons, those sneaky little particles, we can't even be sure of where they are or where they are going. Measuring one of their parameters clouds the observation of the other. Not fair! And further, unless we do measure them, the electron may just be anywhere. A probability function is our best guess on where it may be. We see delving into the 'small' shows a tricky non-classical view, but things get even hairier. Let's look at the bigger picture, our universe. Measurements indicate it's growing in size and its growth is accelerating. Perhaps surprisingly, there is an ambient temperature of about 2.7 degrees Kelvin. But temperature is an indication of energy. What emits or carries this energy and where did it come from? We're pretty sure it came from the Big Bang, but we're not sure what this event was. Nor are we positively sure how we got from that time to this time. Various inflationary steps may have occurred perhaps all of which were driven by some desire to increase entropy. And then, what about time. Is time an inviolate unidirectional dimension? Worm holes may provide a chance to travel in time, but we have yet to see anyone from the future popping by. When looking at the expansion of our view, it is just as freaky as the shrunken version. No wonder theoretical physicists seem to always have a perplexed look. And how does this all come together? Well, aside from the fact that it is the existence in which we find ourselves, there is nothing definite. But imagine a superstructure of strings, small and large, open and closed. These perplexing little entities can vibrate with special harmonics and purportedly give rise to what we call an electron or a graviton or some field effect. These strings may fill the space that Newton saw as black nothingness but still we can't prove this as we can't yet see any. They may even be the reason why some people consider the universe and ourselves to be a holographic image being played out from a lower dimensional frame. Now that's neat stuff for a cocktail party. Well, this book on the Cosmos will guide the reader through the popular and likeliest hypothesis in Theoretical Physics today. Illustrative examples and experiments provide wonderful substance to esoteric princeps. Picture Bart Simpson cruising on a skate board to the Andromeda Galaxy to pick up some fish and chips. Or there are Mulder and Scully of X Files notoriety who get mysterious packages mailed to them from aliens. classical mechanics is intertwined with string theory and teleportation. The gist is there but the breadth of this book, like the cosmos, can be daunting. Now there could still be a problem if you read this book and then attend a party. The problem is that others in attendance may be equally or better versed. And sadly, many of the enclosed arguments surrounding string theory rest on the laurels of mathematical gurus that say the 'new' equations solve some trite detail. Though there are many references, this hearsay doesn't really support the conjectures. And face it, any party gets pretty stale very quick when the conversation becomes a 'he said', 'she said', affair. So anyway, you've read Brian Greene's book on The Fabric of the Cosmos and you're now ready for a cocktail party or two. You can wow them with your grasp of black holes and entropic progression. You might even get some mileage from telling everyone that we actually live in a universe of ten or so dimensions and that we just can't quite yet detect the other 6 or 7 or whichever. And who can say you're wrong? Even Brian admits that there is a lot of conjecture and precious little evidence in the beauty of our cosmos. So go ahead, read about the Cosmos and start on the road to being a bona fide theoretical physicist.